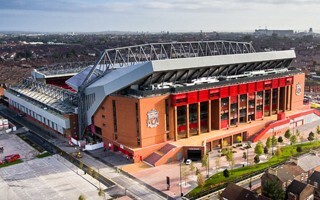 From 2018/19 onwards Liverpool supporters will be able to upload their matchday social media posts instantly, thanks to new 4G network at Anfield. However, not all supporters will enjoy it initially. 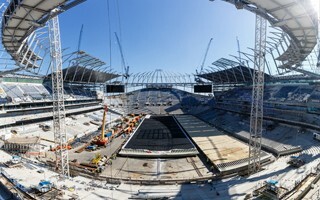 Though speculation is still rampant with just over two months left before planned delivery, Tottenham ensures August is still the opening date. 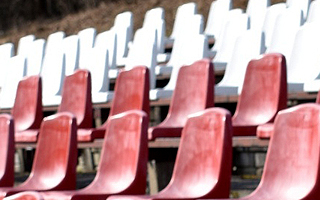 Meanwhile, tests of the sliding field are going well and the first stadium microbrewery is on its way. 29.05.2018 Arizona: 3rd Super Bowl for Glendale, what will change? 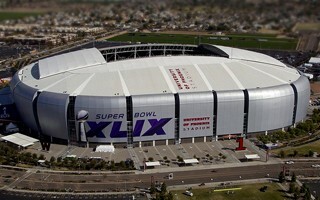 In 2023 Super Bowl will be played at University of Phoenix Stadium for the third time. 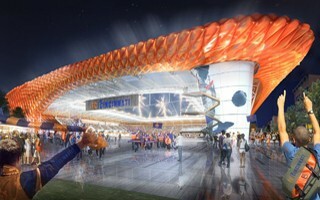 By that time up to $100 million will be invested in stadium upgrades, over 20% of the building's initial cost. Dundee FC General director John Nelms announced his company has a deal in place to buy the current stadium outright from its current owner. 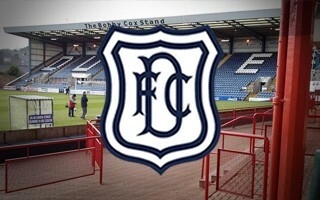 This move will be crucial to DFC's relocation to a purpose-built ground. The Courier report. That's literally it. 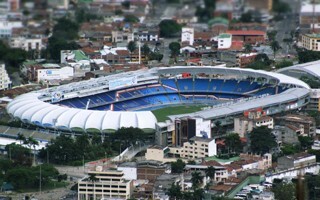 No more event will be held at Estadio Azul, one of Latin America's football temples. What now? 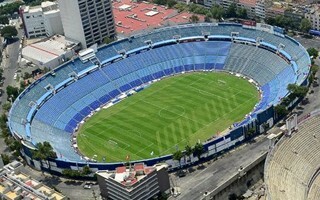 Relocation for Cruz Azul and demolition for the stadium itself. 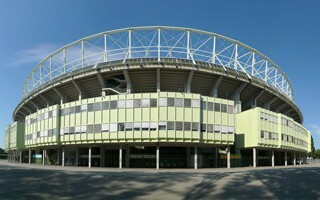 By August Estadio Ramón Sánchez Pizjuán will grow by roughly 1,000 seats. That's just the first out of seven phases of redevelopment, scheduled to happen over the next 7 years, one at a time. 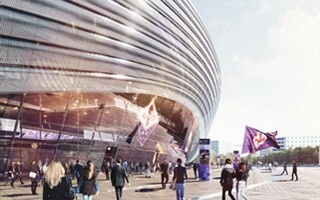 While Fiorentina has 5 more months to deliver complete project paperwork, the trade center standing in the place of potential stadium needs renovation before it's demolished. 24.05.2018 UEFA: Atatürk's last cup final? 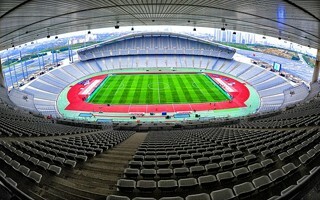 15 years after the sensational 2005 Champions League final, Istanbul's national stadium will host the event once more. And possibly for the last time, if reconstruction plans proceed as expected. The city promised $33.9 million to do site preparation, utility work and parking for FC Cincinnati's 21,080-seat stadium. The city has about half the money on hand or will take it from the capital budget. Not used so far, but already prepared for supporters. 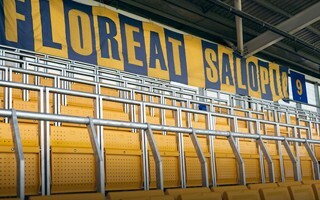 The very first safe standing section across professional football in England and Wales has been launched in Shrewsbury! 24.05.2018 Belarus: Brest stadium to honour... Sheikh Zayed Bin Sultan Al Nahyan? It's only May but this may just be the most bizarre news release of this year. 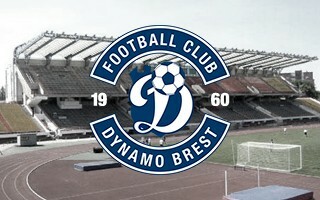 Diego Maradona became co-owner of Dynamo Brest in Belarus and now their stadium is to be renamed to honour the first president of the United Arab Emirates. You could not make that up! 23.05.2018 Colombia: Will America de Cali get their own 45,000-seat stadium? 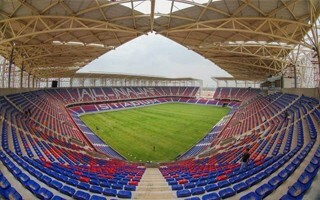 So far only one professional team in Colombia has a stadium of their own. 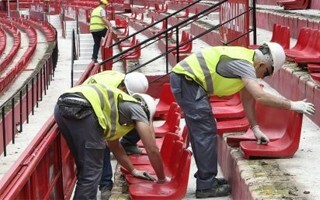 Now America de Cali can join their local rivals Deportivo, if the proposed new stadium goes through. Ownership structure for the new USL team, price tag for the 20,000-seat stadium, new renders and a lot about plans of the stadium's precinct. 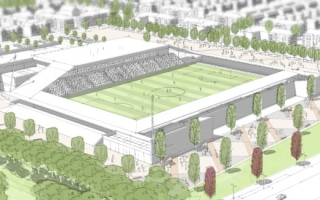 All this is now added to the story of Chicago's second soccer-specific stadium. 22.05.2018 Valencia: Nou Mestalla to finally get going? 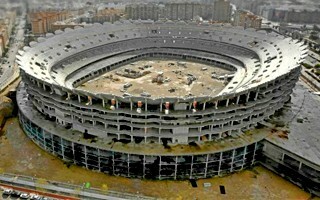 With not much time left to lose, Valencia CF appoint global consultancy brand Deloitte to construct the financial side of Nou Mestalla. Construction has to resume soon, otherwise the structure could be demolished. 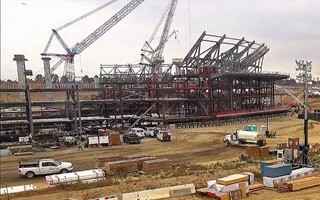 It was almost ready for construction and then Scunthorpe United announced they were pulling out. 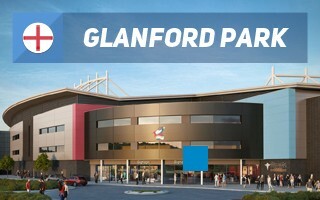 Their new stadium was abandoned, instead reconstruction of Glanford Park is planned. Here's how it will look. One of Mexico's best teams might play at one of the world's most impressive stadiums. But it's far from a done deal. In fact, tensions arise already at preliminary stages. 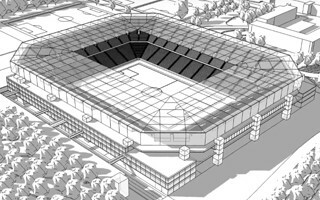 Council officers did not include a new village with stadium in their draft of new local development plan. The proposed massive development is argued as compromising division between St Albans and neighbouring councils. A Herts Advertiser report. It's still not approved by authorities, not just yet. But this time the 55,500-capacity stadium might be acceptable even with monument protection in mind. Moved and lowered, it would be unvisible from many parts of Olympiapark. 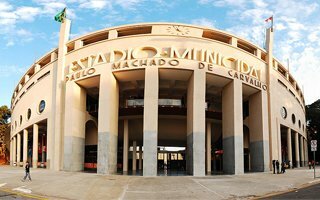 Located at the very heart of South America's largest metropolis, Pacaembu will first be privatised, then renovated thoroughly and operated as a commercial facility for 35 years. Back in 1945 almost nothing stood here. Now Nagasaki is a thriving city and its heart is changing as well. 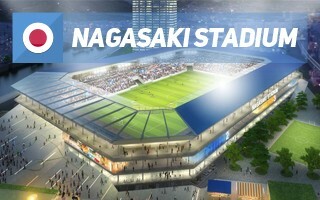 Under the slogan “fun to live in Nagasaki” a massive ¥50 billion project will be built, including a football stadium for V-Varen. 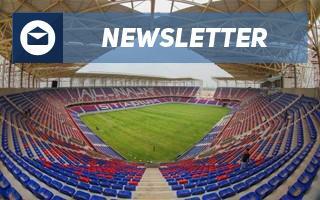 15.05.2018 StadiumDB Newsletter: Issue 51 - Iraq and more! From Iraq's heated inauguration, through concerns around stadiums in France, to safety issues during the Polish Cup finals. Those were only some of the subjects we covered recently, of which you can read in our weekly newsletter. If you wish to get them directly to your inbox, be sure to subscribe below! 14.05.2018 Russia 2018: Did authorities ask for free labour in Nizhny Novgorod? 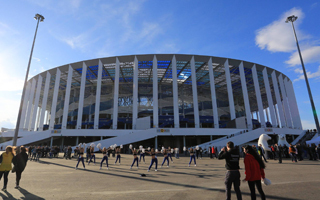 Sports complexes around Nizhny Novgorod received a letter asking them to offer workers for urgent works at the N. Novgorod stadium. The work would not be paid for. Now authorities claim it was inaccurate. 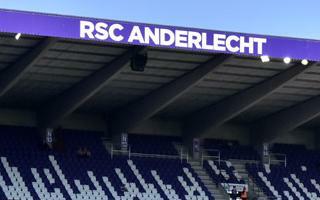 Where will Anderlecht play in 5 years time? Constant Vanden Stock, as always. 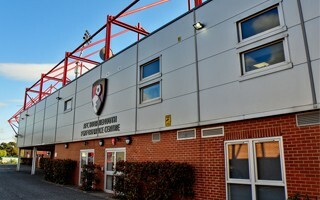 Long-term plan is to move or expand the stadium, but for now only minor revamp is planned. They've been doing amazing things for years now, opening eyes of those who didn't see disabled football fans as an important group. 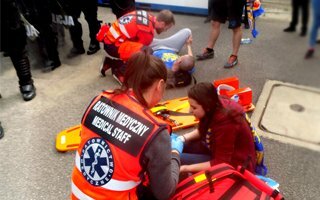 This weekend in Wrocław almost one out of eight fans was a disabled person! SV Darmstadt 98 and naming rights sponsor Merck agreed terms and will remain in partnership until 2024. By that time the stadium should already look differently than today. 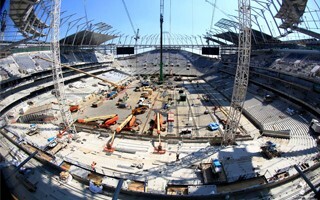 It's a weird situation when your relatively new stadium becomes the oldest among all major football grounds in London. 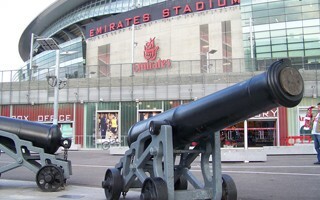 That is the reality Arsenal need to face as their Emirates Stadium is halfway through its lifespan. 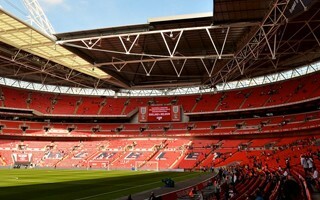 While the deal is far from sealed, potential Wembley sale is already one of the hottest topics in English football. It might have serious repercussions for Chelsea, of all clubs, whose options for a different temporary home are scarce. 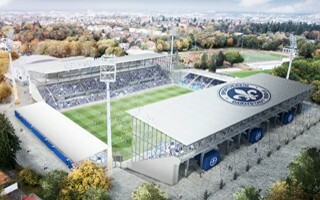 Historians took to the media to appeal for Ernst-Happel-Stadion not to be demolished. The venue is of crucial historical importance indeed, but that doesn't make it fit for purpose in 2018. What will authorities do? 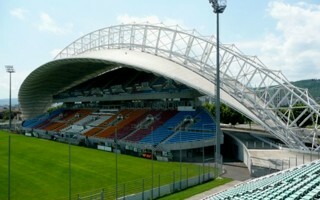 After 15 years the city council has approved the implementation of a 2003 vision to expand Stade Gabriel Montpied in Clermont-Ferrand. But to see the final outcome we'd have to wait almost as long. We'd risk saying that football is a second religion in Iraq and when you look at these crowds, you might agree. 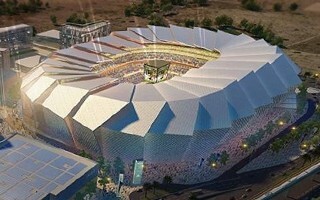 Packed beyond capacity, the new Al Najaf Stadium has opened despite not being entirely complete. 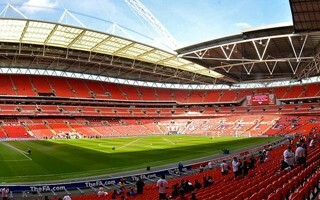 With Tottenham Hotspur ending its season long rent of Wembley Stadium, England’s national stadium, what next for this iconic stadium and more importantly, will football still play a major part in an impending £1 billion bid by multi billionaire Shahid Khan. 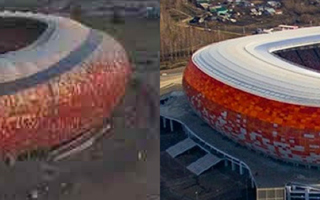 The 'scandal' exploded in hours, resulting in Russians releasing a statement and the architect of the original stadium being asked how he feels about 'suspicious similarities' in Mordovia Arena. How is this what journalists take time to cover? 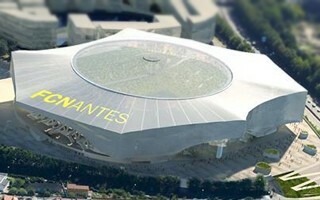 As the famous stadium in Nantes celebrates its 34th birthday, the fan association A La Beaujoire releases a very poignant statement, calling the finishing public consultation process a farse. 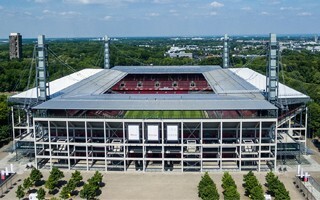 It's already the third time RheinEnergie have decided to prolong their naming rights cooperation for Cologne's largest stadium. This time is will last as long as 1. 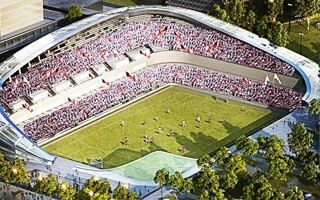 FC Köln's lease of the stadium. Seven stadiums altogether, five of them the same as during the 2002 World Cup. 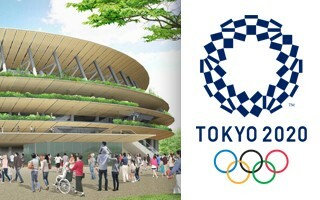 Japan will only see one purpose-built stadium used during the Olympics, of course the new national one. 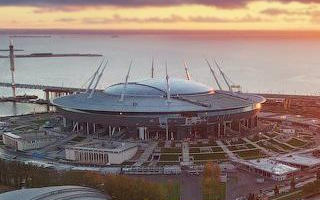 The notorious new stadium in Saint Petersburg will once more be the subject of legal dispute as the Construction Committee demands RUB 4.89 billion from its second contractor. The company, Metrostroi, sees the lawsuit as invalid. While most of the media attention is focused on dangerous use of pyrotechnics, there's a situation sadly missed by mainstream media. It's the critical congestion behind the north end of the stadium, which left several people unconscious. Since we run the same website in two languages, you get the chance to celebrate with us the 227th anniversary of Poland's first constitution. Which we decided to commemorate by adding three stadiums, as in May 3. Investor behind the £5 billion Liverpool Waters project has released fresh renders, showing amended plans for the precinct. 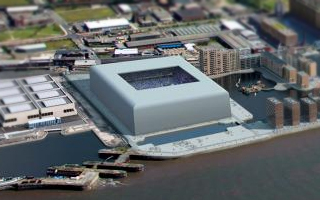 However, the new Everton stadium is not the one going to be built. 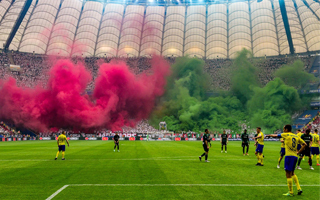 It's one of Europe's most spectacular games in the stands, but Polish Cup final is also a fixture marred by incidents that should never have happened. Once more, both the good and bad was on show in Warsaw. Even though it's been in use for 5 years, the gem of Tatarstan is still struggling to generate revenue. Key issue? 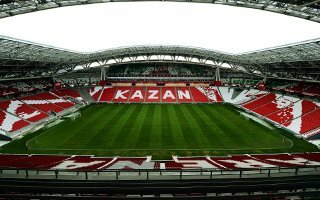 Relations between the stadium and Rubin Kazan. After the World Cup further efforts will be made to ensure future profitability.